This Boneyard Round Serving Tray can be used year around, but is perfect for Halloween. 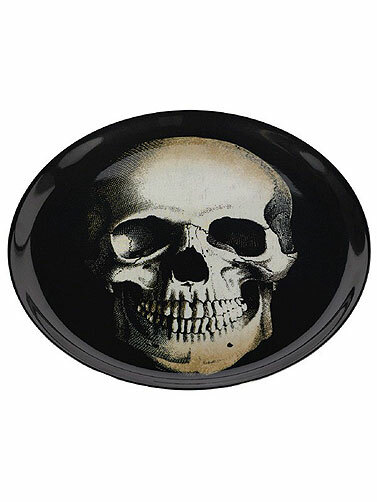 Sturdy black plastic tray features a beige skull, and is a great size for serving food and party treats. Melamine. Hand wash. Not recommended for microwave. Boneyard Round Serving Tray measures 13.5"diameter.